Kingston House is the oldest building in the Holdfast Bay Council area, and is situated on a three acre reserve above the Kingston Park Caravan Park, commanding a magnificent view of the coast. It was the country home of the Kingston Family - a family who were extremely influential in the founding of the South Australian colony and of the nation. George Strickland Kingston came to South Australia aboard the 'Cygnet' in 1836 as Deputy Surveyor to Colonel Light. He purchased the property on which the House stands in April 1839. In 1840 he granted Robert Bristow permission to build an Inn on it, which was to cater for the workers from the nearby quarry and sailors from ships using the pier at the proposed harbour in Marino Bay (which never enventuated). Bristow built the original 3 rooms from prefabricated timber panels shipped out from England and built a verandah all around it. However this venture only lasted a few years when the building and land was leased to Samuel Oakley, a farmer, until about 1850. In 1851, George returned to the house to make it his permanent residence. He set about improving the existing structure and added the two storey eastern wing resulting in the attractive and substantial building seen today. The house remained in the Kingston family for another seventy years - until the death of his son's widow, Lucy, in 1919. The South Australian State Government purchased the property in the 1920's, and it was restored due to popular demand in 1983. George Strickland Kingston was, as he would often boast, "the first Irishman to set foot in the colony". Once on shore he quickly found a suitable spot for the location of Adelaide the city he originally planned. The fact that this is often overlooked in some way reflects the brusque and powerful manner that this Irishman and his famous son used to help shape the colony and the nation. Born in August 1807 in Bandon, County Cork, Ireland, George completed his schooling and decided to seek his opportunity with the British East India Army. On returning to bleak job prospects in Bandon he decide to follow a carreer as an engineer. Kingston trained in Birmingham and traveled to London where he volunteered to work for the association planning the new colony in Australia. Kingston arrived in South Australia on the Cygnet in 1836 as Deputy Surveyor to Colonel William Light. 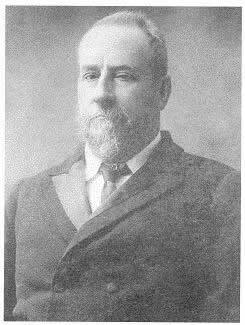 Charles Cameron Kingston was the youngest child of George Kingston, born in Adelaide in 1850. Charles studied law, and eventually followed his father into politics. He held the seat of West Adelaide until 1900, became Attorney-General in 1884, Chief Secretary in 1892, and in 1893 he became Premier and held office until 1901. Charles was also an influential figure in the future of the entire of Australia. Of all the Premiers of the time, he was the most persistent advocate of a Federated Australia. In 1901, he was elected to the first Federal Parliament and served as Minister of Trade and Customs. 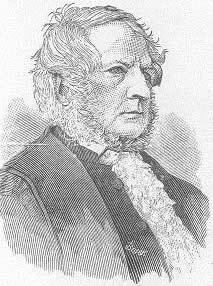 He also assisted in the drafting of the Australian Constitution. Charles Kingston died in 1908.